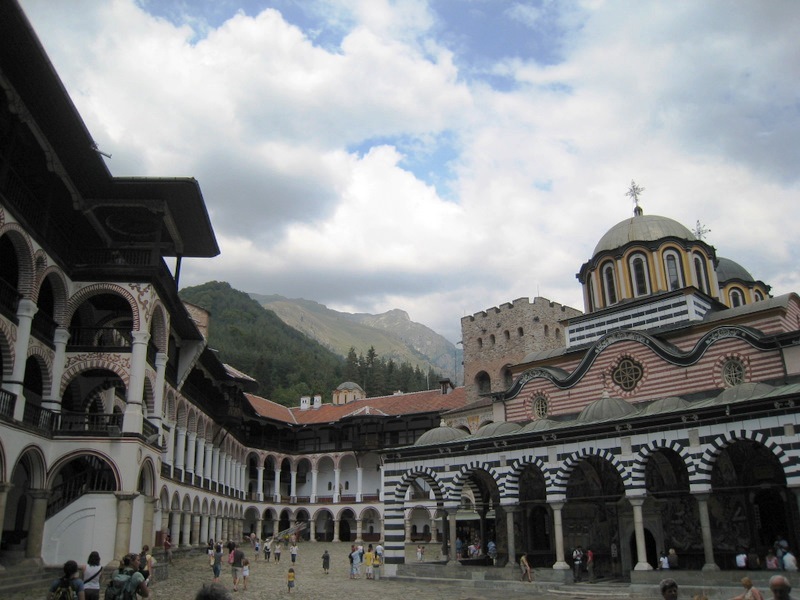 Frequently asked questions – Airport, cross-border transfers, tours in Sofia, Bulgaria. Airport, cross-border transfers, tours in Sofia, Bulgaria, Europe. A: We operate 24 hours a day, 7 days a week, 365 days a year – including holidays. Q: Are your prices per person or per vehicle. Q: Are your shuttles non-smoking? Air conditioned? A: All of our cars are air-conditioned and we have non-smoking and smoking cars. A: Send e-mail to: tripbg@gmail.com, send SMS(text), or call to Krasimir Brankov on mobile +359888510675. Q: When do I make a reservation? A: As soon as you have your flight information. A: You can pay on-line with Pay Pal accept: Visa, MC. A: Please pay half the agreed fare upon arrival at your destination, the remainder at the airport when we drop you off. Q: What currency do you prefer? A: We prefer Bulgarian leva, but we will accept Sterling, Euros and U.S. Dollars. A: The best way would be to change enough money is until you can get to a bank in Sofia, as they have the best rates. There are also plenty of ATM’s/cashpoints in Sofia and they actually are a very good way to change money. Q: What happens if my flight is delayed? A: We track your flight on the Internet and by WAP, so we are aware if you will be arriving late. Whether you are 1 hour late or 6 hours late, we will have a driver for you at the airport. Q: Is there is an additional charge if my flight is late? A: No, unlike some companies we do not charge waiting time. Of course if your flight gets in at 03.00 feel free to give your driver a BIG tip! A: When you confirm your reservation you will see your name at the airport. Q: When will you pick us up on departure day? A: As a general rule we pick you up 2.0 hours before your flight departure time. We will. however, pick you up at any time you decide! Q: Can I have a receipt? A: Of course, just ask the driver. Q: How long is the journey to the city? A: Generally 30 minutes to the city center, during rush hour and when the road conditions are poor, these times can vary. Q: I have lots of luggage, a mountain bike, a board bag and my pet snake- will there be room? A: Our luggage policy is four (4) average sized pieces per person as per airline specifications, If you are bringing a mountain bike or a lot of luggage please let us know. Q: What do I do if someone at the airport proposes to take me into the city? A: You should be aware that there are drivers who operate at the airports without authorization or proper insurance, and they may charge you more than you arranged with us when you arrive at your destination. Q: Should I tip the driver? How much? Q: Do you offer tour programs? A: Yes, click here . We are able to provide basic tours, let us know what you are interested in and we will see what we can do! Q: Do you offer other transportation besides going to and from Sofia Airport.? A: We will go anywhere you would like, e-mail us for a quote. A: English, German, Russian, Spanish, French, Serbian, Macedonian and Greek. Q: Do you offer Internet? A: We offer wireless Internet in all our apartments. If you do not have laptop you could rent one from us. Q: Do you provide any additional services? A: Yes, we provide 24/7 private airport transfer service for groups 1-59 passengers, by taxi, cars, minibus, coaches, to all ski and sea resort and hotels in Bulgaria and Europe, rent a car, tours, information about what places of interest in Sofia you can see and which are the best and modern restaurants, bars and disco clubs. Also, if you wish to, we can do the shopping for you. If you demand some special drink or food, only send us an e-mail before you arrive and we will replenish the refrigerator. 2. 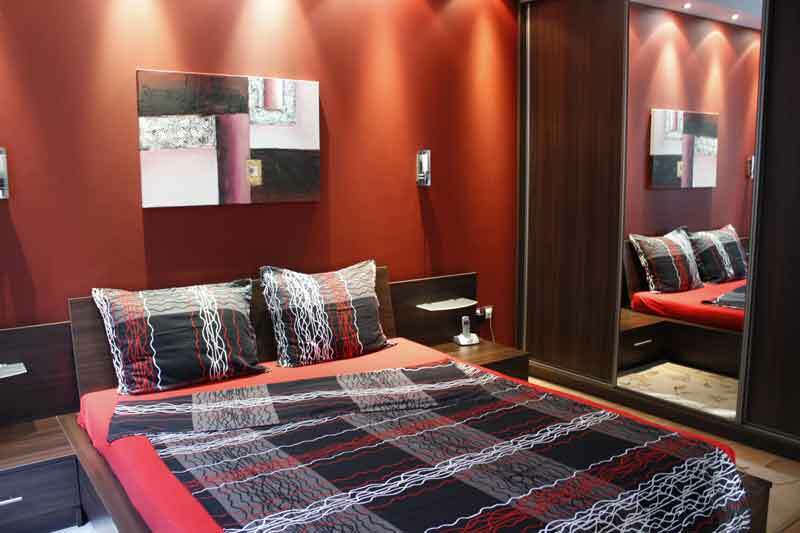 By phoning us, (free viber call), or SMS, In this way you will contact us directly and reserve a flat. Q: Is there air-conditioning in the flats? A: There is air-conditioning in all our apartments. Q: Is there television in the flats? A: In each flat there is a TV set with many international channels (in more than 10 languages). Q: How many floors does the building have and is there a lift? A: The buildings are from 1 to 8 floors. There are a lift. Q: What time is the checking-in and checking-out? A: flexible check in-out, If the flat is not occupied and is clean, you could accommodate at the moment of your arrival. Checking-out, If there are no other guests waiting, you could stay until the time of your flight. Q: Is there a car parking available? A: We recommend to use a paid parking, available at 2 min. walking distance. Q: Do you provide a special rate for long-term renting? A: Yes. The long-term rental (30 days and longer) is 25 % off the normal prize. Q: Foreign tourists in Bulgaria must register their accommodation. Do you provide some assistance? A: Yes. The manager will do it for you. Q: How much cost transfer from the airport to apartment for 4 person and the key from apartment? A: The price is 10 euro for 4 person with luggage and the driver will give you the keys from apartment. Q: Do you accept credit card: Visa, Master card, AM. EX. A: Yes, with Pay Pal, bank transfer. Q: How long is the minimum stay? A: You can book apartment for 1 night. Q: The price on the web is for the apartment, or per/person? A: The price is for the apartment, not per person. Q: Are the expenditures (heating, water) included in the price? A: All expenditures are included in the price. You do not owe anything additional. Q: Is there household linen and towels in the flat or shall I bring some? A: In all flats there is household linen and towels. At your request, we can give you additional towels. A: We speak English, German, French, Russian, Macedonianand, Bulgarian. Q: Where is the nearest Metro station, or the public transport? A: Next to our building, there is a station of trolleybuses, buses and trams, which go to the centre of Sofia: central railway and bus station. 300 m away from the flats is the “Maria Louisa” metro station. We have very convenient communications to all parts of Sofia. If you don’t find your answer please do not hesitate to contact us here.